Jack had Cub Scout Day Camp this week. The boys got to do activities from wood working and crafts to cooking and field sports. Their favorite activities are the shooting ones, archery and BB guns, of course. 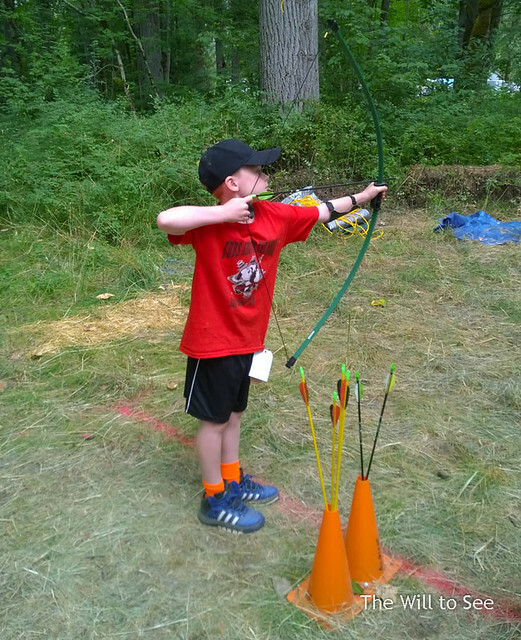 On Thursday I was able to volunteer for part of the day and got to see him in action on the archery course and even try it for myself. It was very fun, but not as easy as Katniss makes it look. Jack finished the week with many bull’s eyes.